Coming to the Rhumbelow Tina’s in Kloof this weekend, is the ultimate Valentines celebration, the music of The Carpenters. 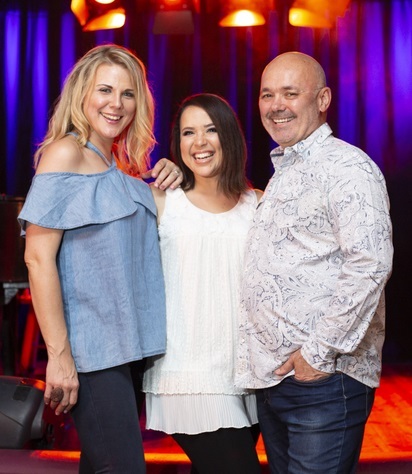 Brought to you by three of Durban’s finest performers, Samantha Landers, Evan Roberts and Shylo Pereira, this voice and piano trio will capture the essence of what made the Carpenters one of the bestselling groups of all time. All the hits are there – Close to You, Jambalaya, We’ve Only Just Begun, but also some of the greatest love songs of our time – Only Yesterday, Rainy Days and Mondays, Yesterday Once More. Expect soaring ballads, beautiful harmonies and songs that will touch your heartstrings. A show not to be missed – especially if you are in love! The Carpenters, Samantha Landers, Evan Roberts and Shylo Pereira, will capture what made the Carpenters one of the best. Tina’s Hotel is situated at 14 Beryldene Road in Kloof.